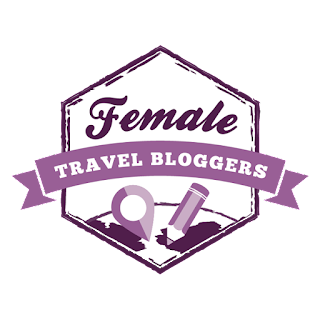 * This post is in collaboration with Petite Retreats and Leavenworth Tiny House Village. I received a complimentary stay in exchange for a review. As always, all opinions are my own. I've always wanted to stay in a Tiny House. I finally got my wish this past weekend! I and my friend Patti took a trip to Leavenworth WA, in partnership with Petite Retreats. It was an amazing escape from the burbs to enjoy nature. Petite Retreats is a "Roam Away from Home." They offer destinations all across the United States. Enjoy the ulitmate getaway in a tiny house, small cabin, yurt, tent or teepee. Gorgeous stays await you, from the riverfronts of Yosemite to the beautiful shores of Florida. The Tiny House Village is located 30 miles from Leavenworth, near a cutle little town called Plain. The property is managed and owned by Thousand Trails RV Campground. There are two separate camping properties, just a mile or so apart. There is amazing beauty in the Wenatchee Forest. The campground had 5 tiny houses to rent, and spaces for your own RV or tent. It felt a little like a ghost town when we arrived, ha! There was just one other camper but this weekend it will be packed for the kickoff of travel season. We stayed in the cutest one of the bunch "Belle." Four of the houses looked about the same size, there was a little runt of the bunch, named Adeline . You can check each one out individually online. Bella seemed to be the most spaciously designed. The tiny houses are a home away from home. Everything you need to have a stress free stay is at your fingertips. Outdoor grilling accessories, lakefront chairs, a firepit, linens, toiletries, dishes and pans are all included. Directly across the front yard from our little house, was the RV hook up and camping spaces. I had my eyes peeled to the woods, as they said Smokey the bear and his bandits may show up! The welcome center did warn us that black furry friends can come hunting for food. So use caution, and don't leave any food in your vehicle. Unless you want to take your car home jeep style- with no doors, oh my! The flamingo girls - I don't think any bears will be coming close, we scared em away! "Home is Where the Heart Is. "Thanks to Deb At Thousand Trails for making us feel at home! If you are clausterphobic you will not do well in the loft. The ceiling is not very high and the single bed isa little confining with rails on both sides. The futon will be your friend. Also I wanted to mention a little about Thousand Trails travel club and membership. You can enjoy more than 80 Thousand Trails campgrounds in all five zones of the United States. If you choose to upgrade your membership to an Elite Basic or Elite Connections, your options expand even more. Check out the Trails vacation ownership and passes offered here. The beautiful lake was a stones throw away, and was my favorite part of the campground. Unfortunately Northwest weather does not always cooperate in May. We didn't get to enjoy the lakeside ambiance, it rained most of the night. Four minutes away from Thousand Trails is the historic town of Plain. I could not wait to get up on Saturday morning and check it out! The feed store Plain Hardware, was so fun to look around in. Beleive it or not, everything you need is there. If you left anything behind, I'm sure they have it. The best part of all: the coffee was the yummiest I've tasted in a loooong time! The scones were good too! Next door is a grocery store with gas, a laundromat and delicious dining at Old Mill Cafe. Even though the area is small, the town is self sufficient. You can survive here several weeks with out a trip to Walmart. Last but not least, don't pass up a visit to the beautiful Bavarian town of Leavenworth. It offers fun for the whole family. If you visit in the fall, Octoberfest is an amazing experience. It actually feels like you've been transported to the streets of Germany. I've been to Leavenworth many times, but haven't tried out many of the diners. Vacation season is about to kick of this coming weekend, with Memorial Day here in the States. I hope you have lots of exciting summer plans! Just maybe you will go camping, or try out a tiny house. I'm not a fan of camping, this diva girl likes the Holiday Inn best, but tiny house camping I can handle. How about you? Have you stayed in a tiny house yet? What a pretty area to camp & the tiny houses look so fun to stay in! 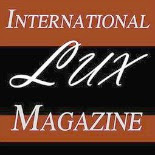 We can't wait to head there soon! Great tips about the little town, too! We'll have to try out the scones! How fuh Jen, I am glad you get to go, have a great time when you go! What a fun experience!! I've always wanted to stay in a tiny home too! IT was a lot of fun, I hope you can stay in one soon! I have always wanted to stay in a tiny house too! What a cool and unique getaway! (I love finding unique places to stay)! Hey Nutty Hiker, I so love unique places to stay too, !! 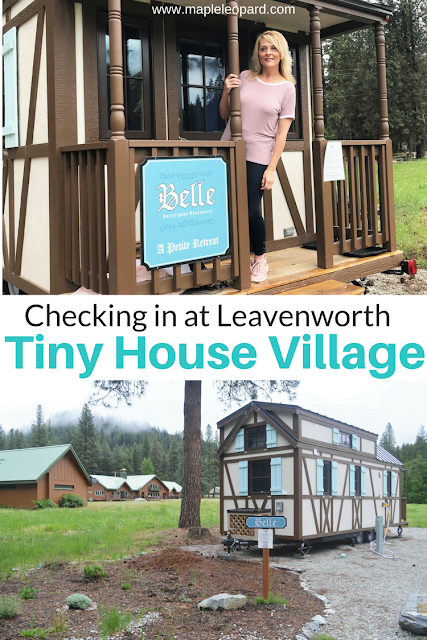 I Hope you can visit Leavenworth tiny house village someday! I had no idea this existed and the minimalist in me is SO happy about it! I want to go!!! Definitely a place for a minimalist. ha ha...I hope you can stay in one soon! You look so tall in front of the tiny house, they are so cute! Ha yes I am not that tall, 5 6 but it does make you look that way in the doorway! These are so cute! It looks so relaxing and nice to stay here! I'll have to add this to my ever growing bucket list! Hi Kelsey, you would love it..its a lot of fun! I finally did it after it being on my bucket list for a long time too! Hi Sayantini, it is perfect for a family getaway, hope to take mine there sometime ! Most time this won't be an issue at all since the rates will be coordinated.